Fonts are the ruler of the design world. With so many to choose from, it is sometimes hard to break away from your go-to favourite, especially when you know it’s going to work a dream on your current project. Sans-serif fonts have always been at the forefront in recent design trends, reflecting that minimalist design approach that works well with clear space. 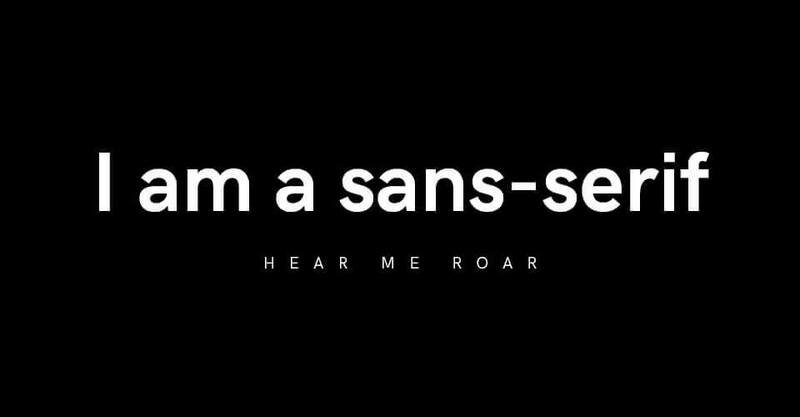 Here is a list of 5 awesome sans-serif fonts that I think are cool and will hopefully inspire you to leave that ol’ favourite behind and branch into something new, perhaps opening up a few design doors along the way. 5. 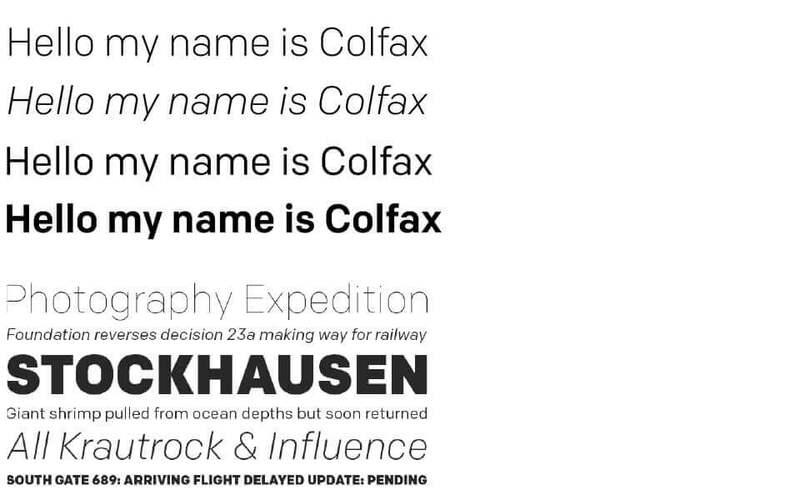 Colfax: The nearly geometric sans serif. Minimal, refined and beautifully made, Colfax is one of those fonts that works well in any weight range. My favourite if the Colfax Bold uppercase, it’s just plain lovely. Available also in Typekit, so it’s easy to test it out. Nice one Eric Olson. 4. Gineso: Condensed yet robust. Seen as a nod to vernacular sign painting, this sans serif was created for mainly posters, headlines, and logotypes. The perfected condensed qualities work well in any weight range and is ideal when you are faced with a tight design space. An ideal change from the well used Din. 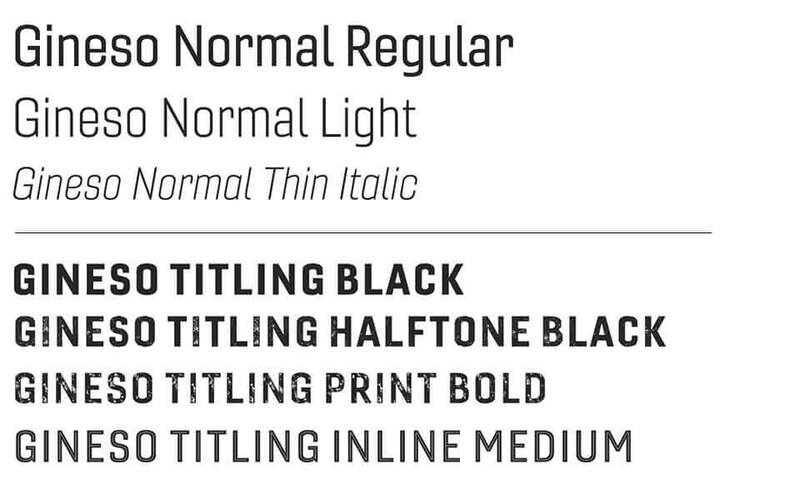 Check out the Gineso Titling family for inspiration. 3. 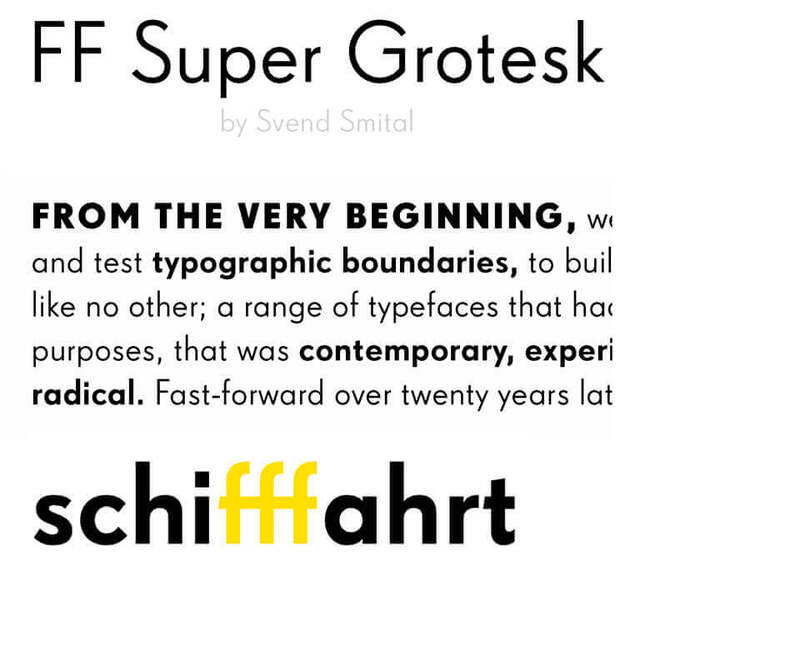 FF Super Grotesk: Known once as the East German Futura. Created all the way back in 1999 by Svend Smital at FontFont, it was known back then as the “East German Futura.” Available in 6 weights, this is such a simple yet effective font which looks great in every weight, in both uppercase and lowercase, all in the same paragraph. The ‘f’s are the winner here, check out the slight change on the left side of the horizontal stroke. 2. Whitney: This friendly font is a must have. Originally created for New York’s Whitney Museum by Tobias Frere-Jones (who also created the well used Interstate typeface), this friendly typeface uses space efficiently which make it ideal for editorial typography and public signage. Covering more than 200 languages worldwide, it is a great alternative to Frutiger which is usually the favourite default for wayfinding design. 1. 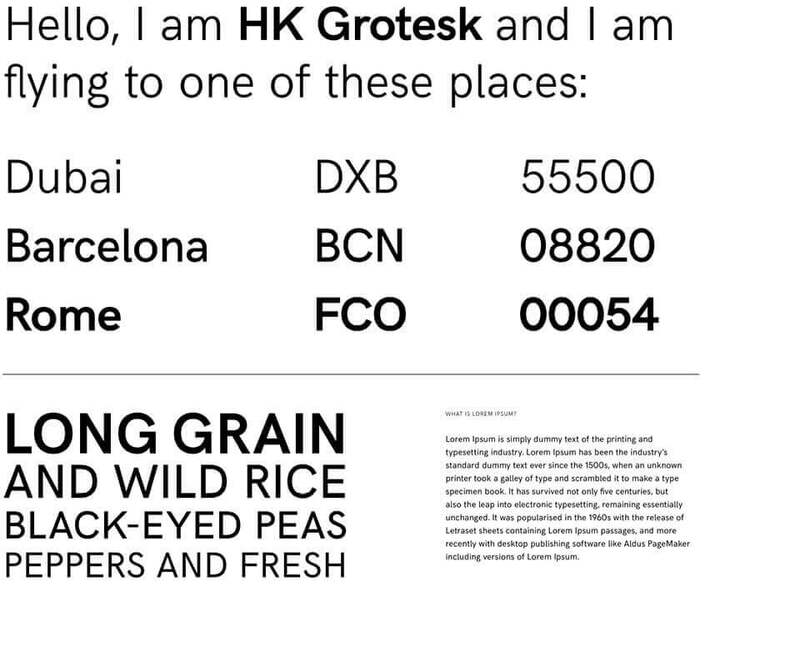 HK Grotesk : Inspired from the classics. It was hard to decide which sans-serif typeface would take the winning spot, but I don’t think I can go past HK Grotesk. A simple sans serif typeface inspired from the classic grotesques, it was originally created to use primarily for small copy, but as you can see from the below, it works wonders across any size and weight. Oh and did I mention it was free. This list is only a small collection of sans-serif typefaces which I hope could inspire your next design. Some good advice when you are stuck for ideas is to make that jump, try something new, it may just become your next favourite font. 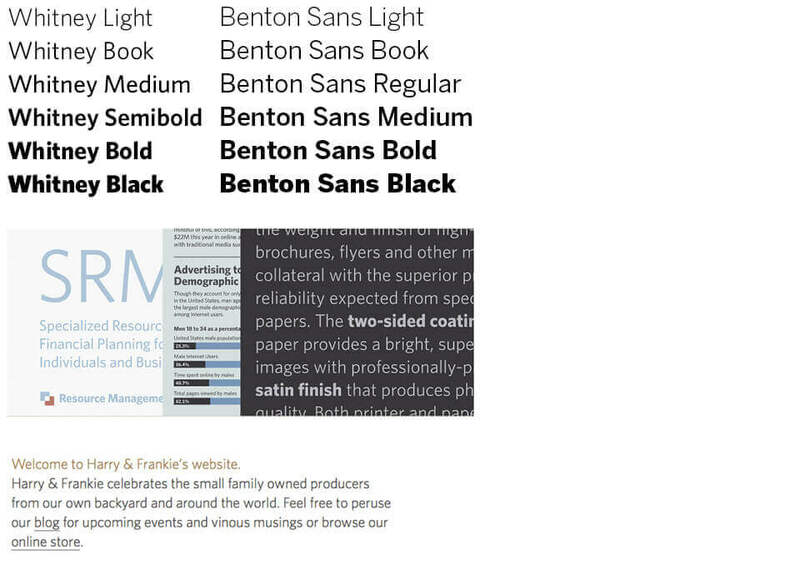 Want to talk about your current brand fonts, or need some inspiration in creating a new brand? Call us today to discuss all things creative. Thanks to all the font foundries for their hard work and access to these images.